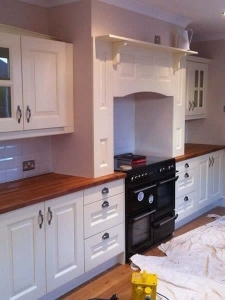 As well as our other crafts, our dedicated team specialise in fitting bespoke kitchens in Southport. 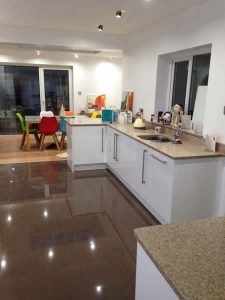 We can aid in bringing your designs to life for your kitchen and guide you in achieving the best possible results for the space you have. 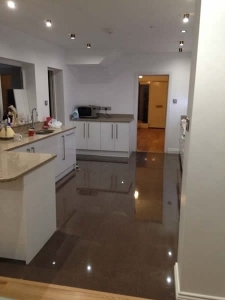 We realise that the kitchen is the heart of the home, central to family time and parties. 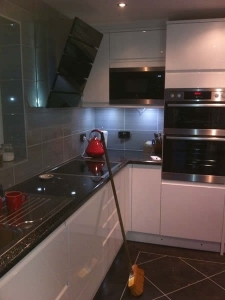 A kitchen has to stand out and impress, as well as being functional and versatile. 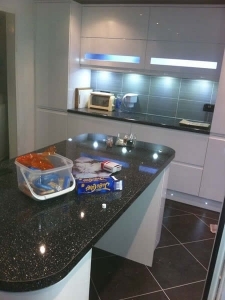 J Antrobus and Son have been installing bespoke kitchens within the Southport area for a number of years, guiding and advising customers through out the process. 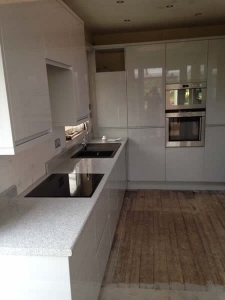 If your happy with your current kitchen but just want a small renovation, our team will gladly help and aid you. 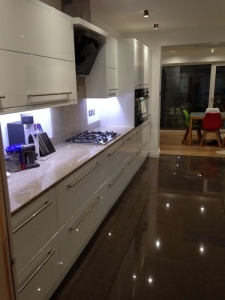 We can supply and fit new flooring, work surfaces, cabinet handles and kitchen sinks. Contact us on our contact page for more information on how we can aid you. 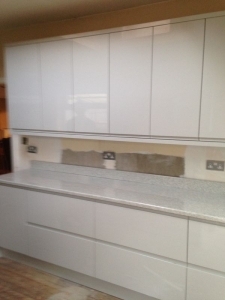 Some of our recent projects involved renovating customers kitchens. 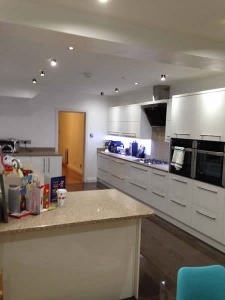 We’ve updated flooring, added new handles to work surfaces, painted the walls and installed new cupboards.